In terms of price, the P30 offers a version of 6GB+128GB for 799 euros. The price of the P30 Pro varies from 999 Euros, 1099 Euros and 1249 Euros (approximately RMB 9467) depending on the configuration. Compared to the P20 series, both the starting price and the highest price of the top version have raised a step. 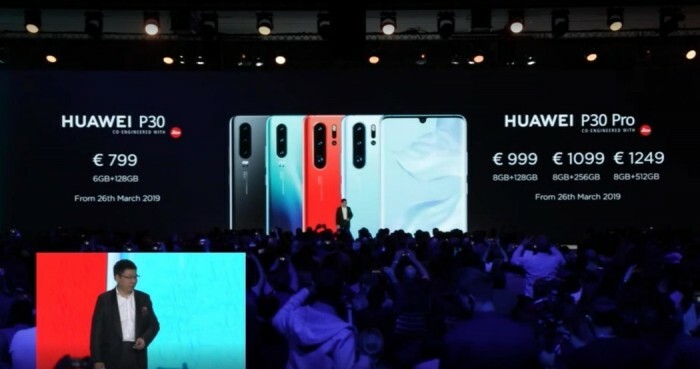 Appearance,HuaweiThe P30 series features a “drop screen” design. 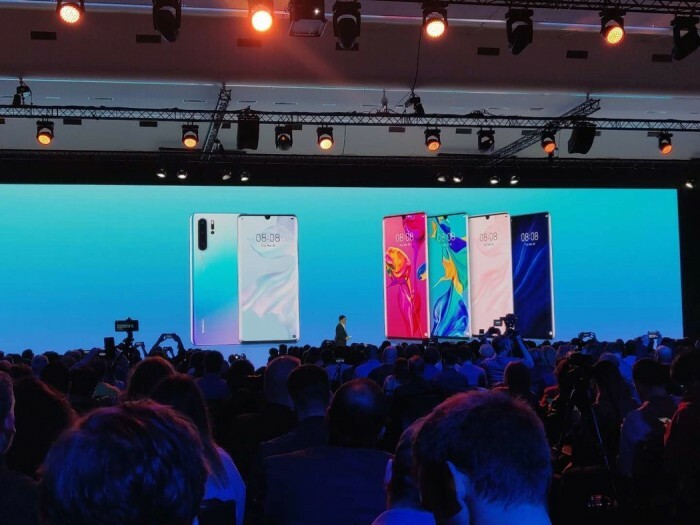 Among them, the Huawei P30 is equipped with a 6.1-inch screen and the P30 Pro is a 6.47-inch large screen. The back is made of 3D curved glass, the overall frame is extremely narrow, compact design and lighter weight. The new color of the sky is inspired by the water and the gradient. The new red color is inspired by the sun. The mother of pearl is very elegant, black and aurora are the only ones. Each model has five colors. In terms of performance, the Huawei P30 series is equipped with Huawei's latest flagship chip, the Kirin 980, which is also the same chip of the Mate 20. Huawei P30 is equipped with 3650mAh battery, Pro is 4200mAh, both models are equipped with 40W super fast charge, can charge 70% of electricity in half an hour, support 15W wireless fast charge, wireless reverse charging. It is worth mentioning that the Huawei P30 series is equipped with an on-screen fingerprint, which is 30% faster. It is understood that Huiding Technology provides exclusive optical fingerprints for the Huawei P30 series and provides AMOLED touch solutions. In addition, Huawei P30 Pro supports IP68 waterproof and dustproof. Huawei P30 supports IP53 waterproof and dustproof. System, Huawei P30 Pro uses EMUI 9.1 system based on Android 9.0, UI is refactored, more beautiful and smooth, virtual buttons replaced with gesture navigation, press the power button for one second to summon Google AI assistant (domestic not available) . You can also use the Huawei P30 series instead of the car key, go out the doorMobile phoneIt can support 7 Audi models and more than 20 countries, and can also replace the keys of the home and office doors. In terms of taking pictures, Huawei P30/P30 Pro has not improved. 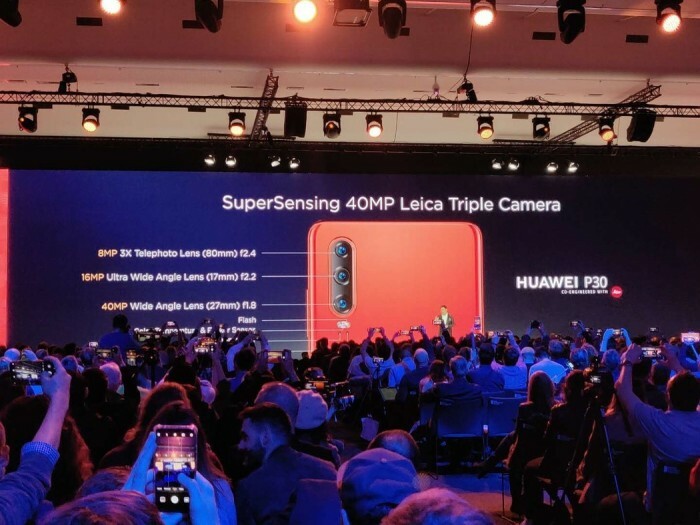 Huawei P30 adopts the new Leica three-shot, which is 40 million main cameras + 16 million super wide-angle + 8 million telephoto. The Huawei P30 Pro is equipped with a rear-mounted Leica four-shot camera. It consists of 40 million main cameras + 20 million super wide-angle + 8 million telephoto + ToF depth cameras, providing dual OIS optical image stabilization. Prior to this, glory V20, OPPO R17 Pro and other mobile phones are equipped with TOF stereo camera. TOF is short for Time of Flight and literally translates to flight time. The so-called time-of-flight 3D imaging is to obtain the target distance by continuously transmitting light pulses to the target, then receiving the light returned from the object with the sensor, and detecting the flight (round-trip) time of the light pulse. It is worth mentioning that the Huawei P30 also supports 3x optical zoom, 5x hybrid zoom and 30x digital zoom. Huawei P30 Pro's zoom capability supports 5x optical zoom, 10x hybrid zoom and 50x digital zoom. At the scene, Huawei also took the P30 and two other high-end models - Samsung S10+ andiPhoneXS MAX has a sample comparison. In addition, in the DxOMark running scores, Huawei P30 Pro total score 112, photograph 119, camera 97 points, ranked first. 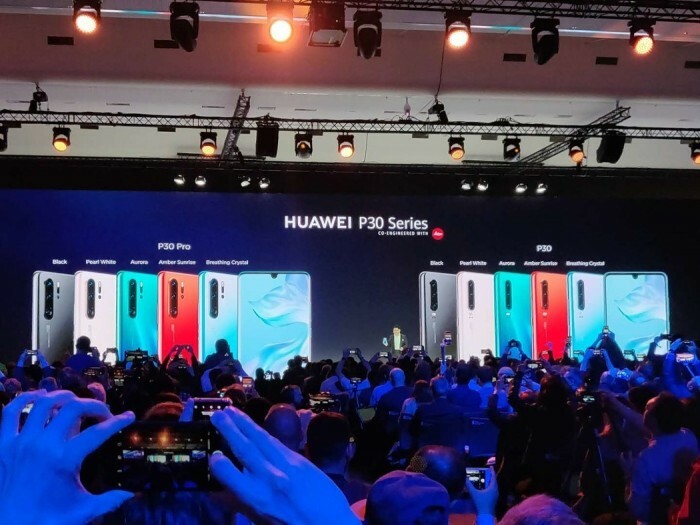 The P20 Pro and Huawei Mate 20 Pro are the second and third places respectively. In accordance with established practice, Huawei will release two flagship models of the P series and the Mate series in one year. Among them, the P series is usually released in the spring, and the Mate series is generally released in the fall. It is understood that Huawei will hold the P30 domestic conference in Shanghai next month, when the price of the Bank of China version is expected to be announced. In addition to the new P30 series, Huawei's Huawei P30 Pro special edition gift box with Swarovski mobile phone case containing car cover and pearl powder, 12000mAh mobile power supply supporting 40W fast charge, HUAWEI FreeLace wireless headset, Huawei Watch GT new color version A wide range of accessories, such as smart glasses, are on the scene. Among them, the new version of Huawei Watch GT Active is the main protection function, and the appearance is hard. Watch GT Elegant has a more elegant look that accentuates fashion and design. Watch is powered by Huawei's own Lite OS system, which has a longer battery life. In terms of selling price, Active and Elegant sold for 249 and 229 euros respectively, which is slightly higher than last year's Huawei Watch GT. Surprisingly, Huawei also launched the GENTLE MONSTER joint-name smart sunglasses for the first time. 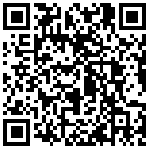 The appearance is the same as that of traditional sunglasses, but it can provide a smart experience. The glasses support IP67 dust and water resistance, built-in speakers, dual microphones and chip modules to support NFC contactless wireless charging through the glasses case.